Increased risk of breast cancer with age. Most women with breast cancer over 50 years and older. If you are experiencing menopause late (after 55 years of age), you risk even more. In general, the risk peaked at more than 60 years of age. 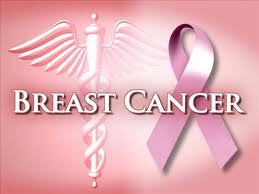 If you ever have cancer in one breast, the risk is higher than the other breast will be affected. If a mother, sister or daughter has breast cancer (especially before 40 years), your risk is higher. The doubled risk if more than one nuclear family members affected by breast cancer. Having a non-core family with breast cancer (eg, aunt, grandmother or cousin of women) also increases your risk. The older you are to have their first child, the greater your risk of breast cancer. The risk also increases if you are over 30 years or more and never having children. Breast changes often occur in almost all women. Most changes are not cancer. However, some changes may be signs of cancer. If you have changes in breast tissue known as atypical hyperplasia (based on biopsy results) have an increased risk of breast cancer. If you start menstruating at an early age (before age 12), who have an increased risk of breast cancer. If you have to undergo radiation therapy to the chest (including breasts) before age 30 years, which have a higher risk. The younger you are when you receive radiation treatment, the greater your risk of breast cancer in the future. Research has shown that women 45 and older who have spun at least 75 percent dense on mammograms have an increased risk of developing breast cancer. Scientists still do not know why. If you receive hormonal replacement therapy of estrogen alone or estrogen plus progestin for five years or more after menopause, which has a higher risk of developing breast cancer. Besides the risk of breast cancer, estrogen plus progestin increases the risk of heart disease, stroke, dementia and blood clots. If you are obese after menopause, there is a risk 1.5 times more likely to develop breast cancer compared with normal weight women. A recent study by the Women’s Health Initiative found that physical activity in postmenopausal women to walk about 30 minutes per day was associated with a 20 percent reduction in risk of breast cancer. However, the greatest reduction in risk among women of normal weight. Impact of physical activity was not found among women who are overweight or obese. However, physical activity combined with a diet to lose weight and ultimately reduce both the risk of breast cancer and other diseases. In addition to the above smoking factor, (passive or active) and eating habits also have an impact on the risk of developing breast cancer.